Omega is the Olympics in timekeeper 25 times!This year, Omega has 25 times act as the official timekeeper of the Olympics. 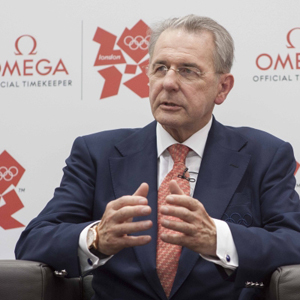 This year, Omega has 25 times act as the official timekeeper of the Olympics. In this regard, the boutique Omega Westfield Stratford for a few days before the opening of the Olympic Games, near the Olympic Park held a press conference, attended by President of Omega – Stephen Urquhart, Swatch CEO Nick Hayek, the IOC President Jacques Rogge and a member of the Board Directors Peter Hyurtseler Omega Timing. We also note that today, at the Olympics 450 timekeeper company uses about 400 tons of equipment Omega. This year, Omega among others present at the Games in London, an improved track and field starting block, which will determine the athlete’s reaction time, by measuring the force, rather than fixing the motion.